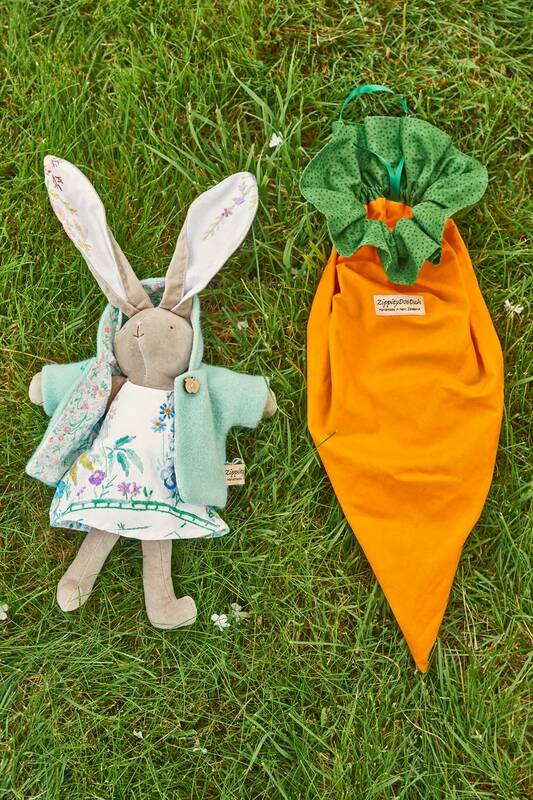 The Carrot Backpack is the newest way to take your Zippitydoodah bunny everywhere you go. 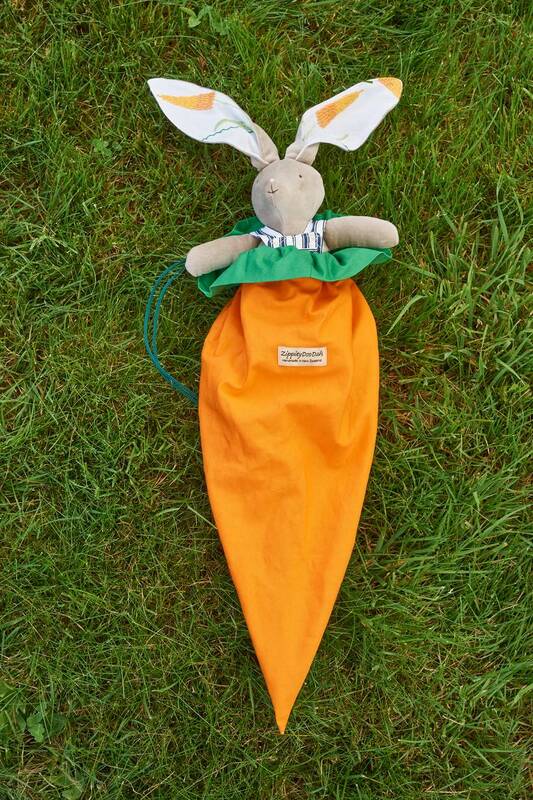 Carrot features a drawstring top and is fully lined. Made from cotton drill fabric. Carrot also has a handy loop so it can be hung as a xmas stocking or perhaps as a easter treat holder for visits by the easter bunny. One carrot back pack can hold two rabbits and their assorted accessories. Perfect for going on sleepovers or to tidy up after playing with your bunnies. Can be used as a carrot sleeping bag for velveteen rabbits. Back pack is recommended for over 3 years , because of straps. Please see my bunny doll sling if you ar looking for something safe for under 3 year olds to carry their bunny. Velveteen Bunnies always eat their veggies and recommend you do too.